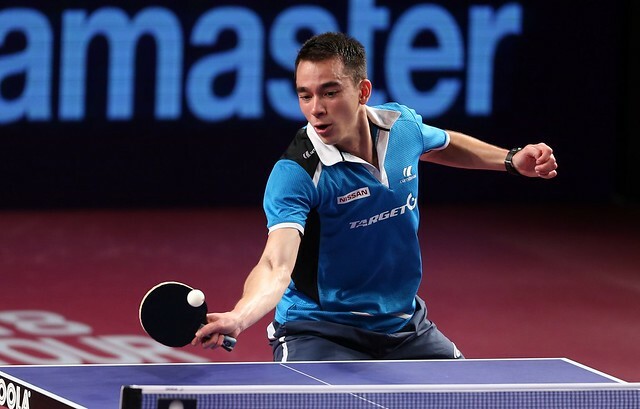 China claimed all four titles on offer on the closing day of the Seamaster 2018 ITTF World Tour Platinum Qatar Open. Revenge, outstanding performances and comeback victories featured on Sunday 11th March as the Ali Bin Hamad Al Attiyah Arena played host to another gripping day of action. Relive the magic of the final day in Doha with our day four review. The first title of the day went to Chen Ke and Wang Manyu, who earned revenge for their defeat against Chen Xingtong and Sun Yingsha at the opening ITTF World Tour event of the year with a strong display in the Women’s Doubles final in Doha. China also emerged from the Men’s Doubles final with a gold medal win courtesy of reigning World Champions Fan Zhendong and Xu Xin, who proved too strong for opponents Jun Mizutani and Yuya Oshima. The unseeded duo of Jun Mizutani and Yuya Oshima displayed moments of brilliance in the title match but it wasn’t to be for the Japanese partnership, ultimately losing out to second seeds Fan Zhendong and Xu Xin across four games (9-11, 11-5, 11-9, 13-11). Wang Manyu was successful in the Women’s Doubles final but she was restricted to a silver medal finish in the Women’s Singles tournament as one of China’s most exciting young talents fell at the final hurdle to one of the country’s finest players, Liu Shiwen. Runner up at last year’s contest in Doha, Wang Manyu looked on course for a better outcome in the 2018 final, securing the opening two games to claim the early momentum. But Liu Shiwen, who was required to compete in the two-day qualification tournament ahead of the event, kept a cool head, claiming the next four games in a row to win her 12th Women’s Singles gold medal on the ITTF World Tour and her third in Qatar. Named the top seeded player for the Men’s Singles competition China’s Fan Zhendong was the big favourite to lift the trophy in Doha and he achieved that feat in style on the final day of play with a straight games victory (13-11, 12-10, 11-7, 11-7) against surprise finalist Hugo Calderano. The Brazilian earned a number of big name scalps across the opening three days of the event and gave another good account of himself in the final. Fan Zhendong proved one step too far for Hugo Calderano on this occasion but the 13th seed can leave the Ali Bin Hamad Al Attiyah Arena with his head held high, following what has been a fantastic outing for the Latin-American star.